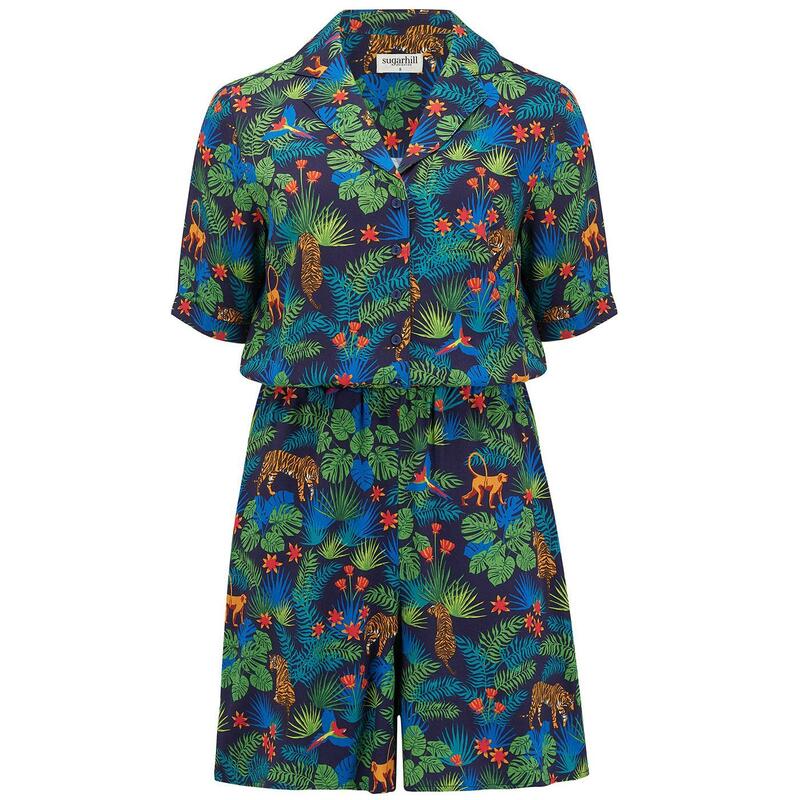 The Clara jungle vintage playsuit from Sugarhill Brighton is perfect for the hot summer season. Clara has a vibrant all-over jungle print with foliage, tigers, flowers and parrots printed in bold and striking colours and a relaxed resort collar for that vintage look. Clara has short sleeves and long length shorts, to keep you cool, and buttons down the front. The waist is also elasticated for that cinched in vintage silhouette. Clara vintage jungle playsuit in navy from Sugarhill Brighton.